One common mistake in contemporary society is “protecting” kids from disappointment by sparing them all struggle—and then grumbling that they leave us with all the work. It’s been going on long enough that some of today’s “sandwich generation” parents are caught in a triple-whammy situation: forced to learn basic tasks for the first time as adults; finding that their parents can no longer do everything for them and in fact need their assistance; and getting no help from their own kids whom they’re raising in the same “no responsibility required” way they were raised. To say that the situation makes no one very happy is an understatement. 1. Know that self-reliant kids are happier kids. Take a close look at the instant-gratification-obsessed crowd making themselves miserable with whining, impatient, what’s-in-it-for-me attitudes. The more they get on demand, the unhappier they are, because they never know the joy of achieving a hard-won goal. We’d be less inclined to worry about temporary “failure” hurting our children’s self-esteem if we looked beyond the immediate tears of frustration and remembered their toddler years, when they couldn’t yet conceive of a struggle-free life and were more ready to protest outside “help” than accept it. 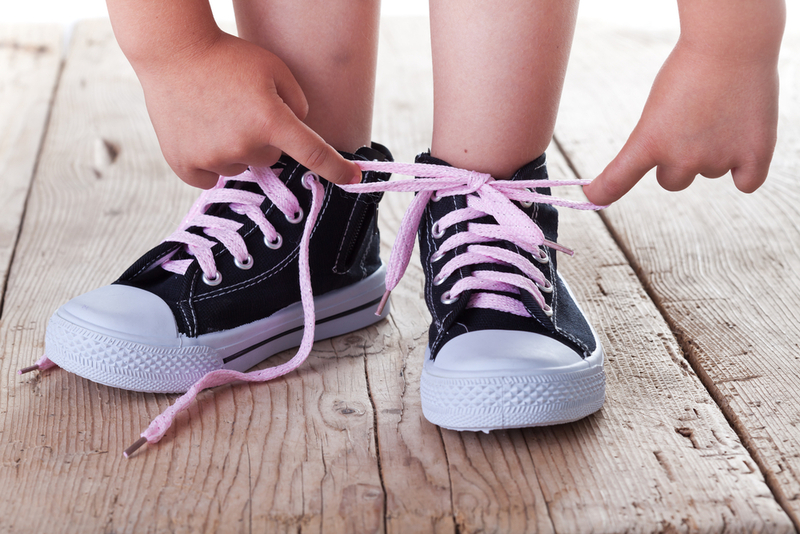 You didn’t think learning to walk was “asking too much” of them: why should learning to clear the table or run errands be any different? 2. Let them make their own decisions whenever possible. 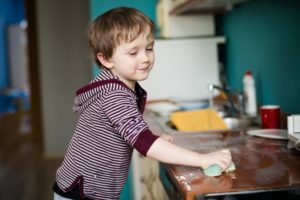 Not decisions to shun all duty because “I don’t feel like it right now”—but decisions about when (at what age) they’re ready to try specific tasks, how jobs are best tackled, and what type of work (DIY/intellectual/putting things in order) should be their principal focus in life. The tendency to do everything for small children often morphs, first, into micromanaging tweens and teens, then into demanding the “right” to choose careers and life plans for young adults. Ultimately, the now-grown children are left alienated or stunted or both. 3. Remember your children aren’t just yours—they’re also their own people. Most tendencies to overprotect or over-pamper children are rooted in the tendency to see them as little more than our own creations and achievements. Concentrate on appreciating them as the unique individuals (with separate minds and skills) that they are, and you’ll all be happier in the long run. Appreciate yourself as an individual, too—instead of trying to achieve vicariously through your children, set them an example of never considering it “too late” to have great goals and become all you were made to be. Any version of “You can do better” is usually heard as “You didn’t do it well enough,” and, eventually, as “You never do anything well enough.” Why should children bother with self-reliance if they’re already convinced any hope for “success” is futile? Bonus hint: praise effort (and pleasure taken in effort), not just results. It’s effort, after all, that really counts: great achievements (including self-reliant lives) are built on foundations of trial and error.